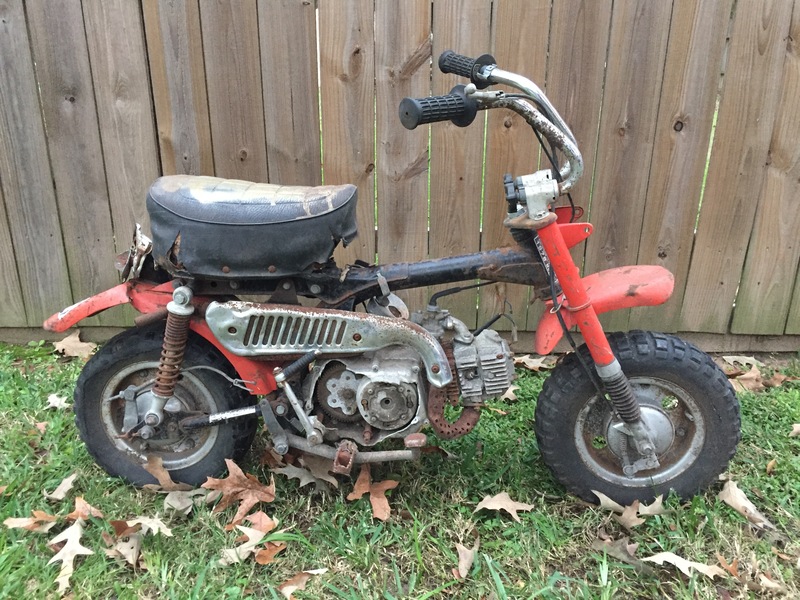 As most of you know, I have a bit of a soft spot for the funky, oddball, small displacement bikes that were coming out in the 70's. 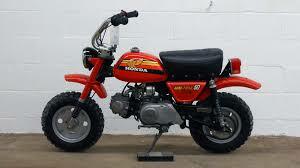 I've been looking for a 50cc version of one for a couple years now, either the z50, MT50 trailhopper or what have you. 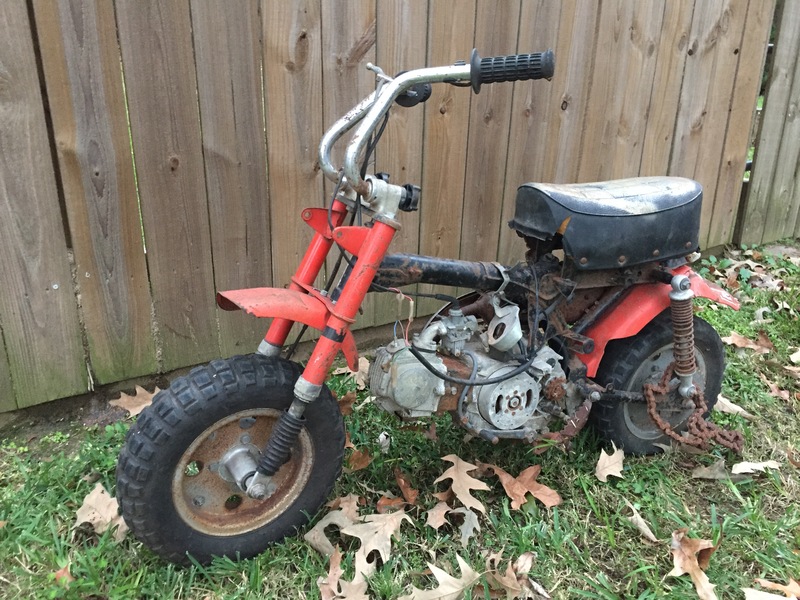 While doing some window shopping on CL, I spotted this poor, insanely abused example of a soft tail z50 - a 78 to be exact, and probably my favorite generation of these bikes style wise. I'm starting to feel like the ASPCA for motorcycles. This thing should probably be put out of its misery, but I'm going to bring it back from the dead. The guy had it listed for an outlandish price, so I offered him pennies on the dollar and we eventually made a deal. I met him on my lunch break yesterday, picked up the turd and then promptly broke it down once I had it in the shop. 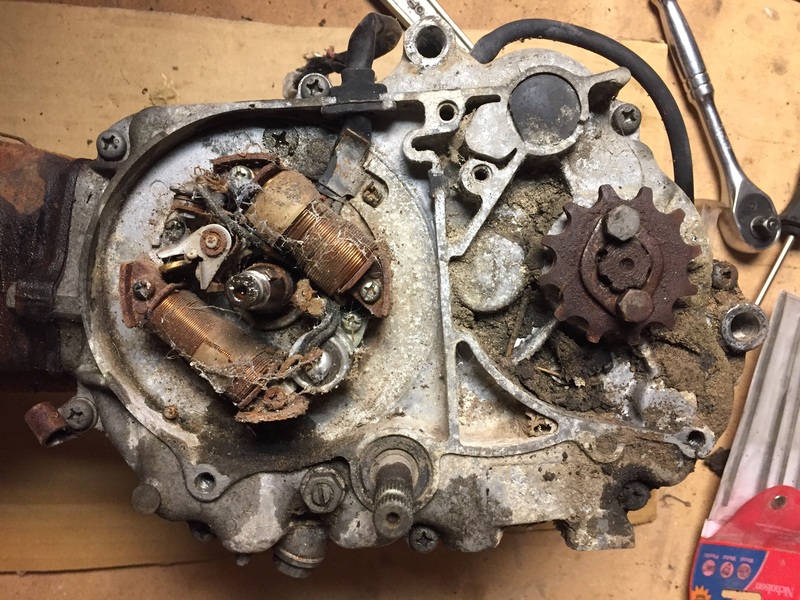 Amazingly, the motor still turns over despite the busted up case covers (easily replaceable), nothing is seized up and even the brakes still work. It came apart ridiculously quick and easy. Apart from a bunch of bent up metal, I think a lot of the parts are savable and regardless, the parts availability for these little guys is second to none. I've already got a line on a tank and some used case covers, so we'll start there and keep moving. After a couple hours in the shop, I had the whole thing reduced to a pile of parts and a bunch of ziploc bags. 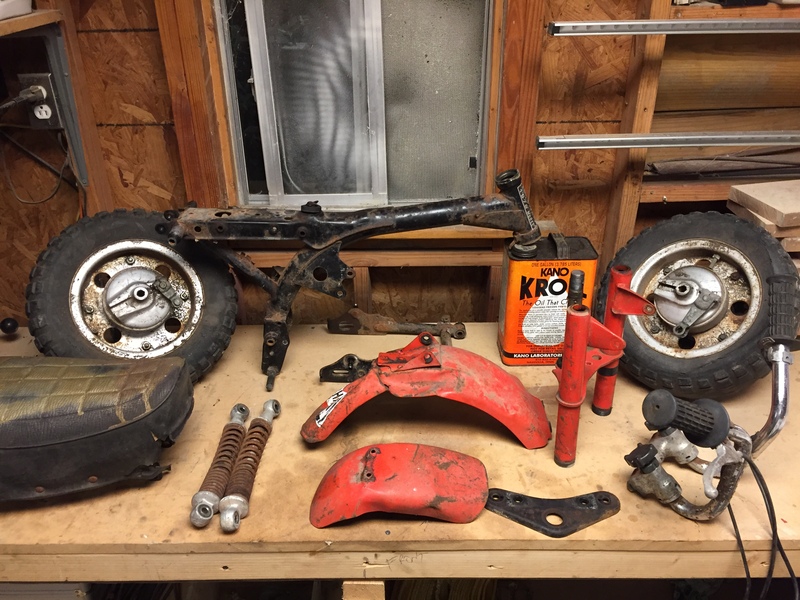 I'll focus first on straightening anything that's bent on the frame from previous abuse, new swingarm bushings and building back up a respectable roller while I evaluate the motor and decide what to do with it. I hear curved shocks are the new thing. And last but not least, a photo of what this tired old machine would have looked like before the abuse. 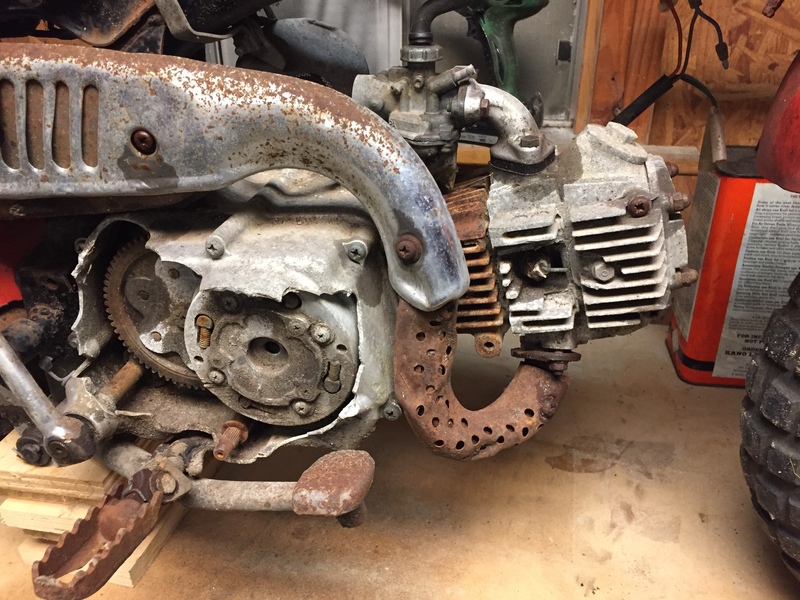 This probably won't end up being a nut & bolt restoration as I plan to bring this thing camping and actually enjoy it. 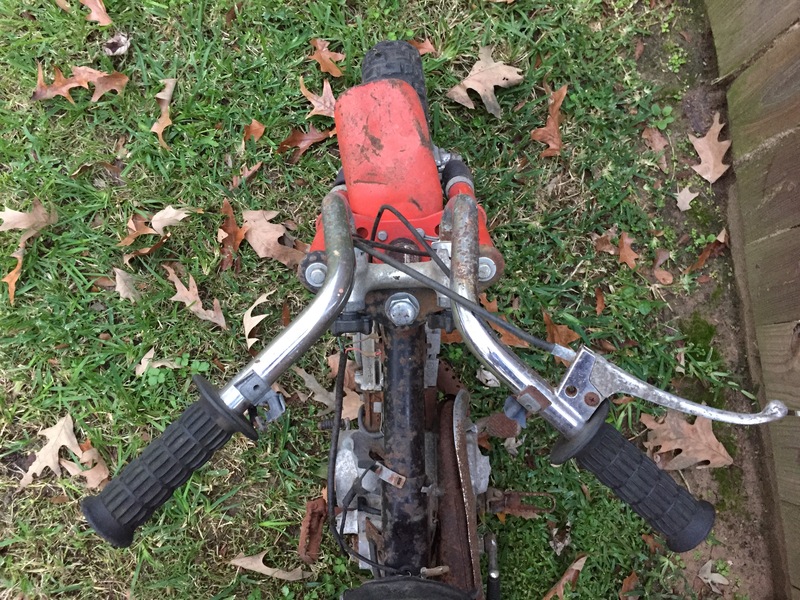 It definitely needs some straightening up, a handful of new parts and some paint, but we'll bring it back to life. Yep. 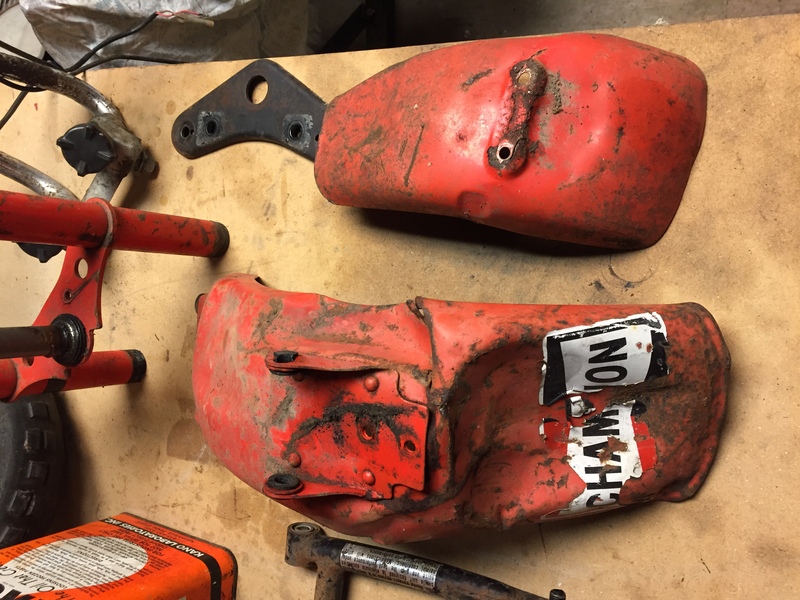 too bad the parts lot I found was sold. would have been useful. I'll keep an eye out as it looks like stuff is cheaper here when it can be found. This is stupid. Im in. I have a soft spot for the Z50 range. I am not 100% sure on American models but that looks to be a Z50A K6. If you do go to a larger engine I would recommend 140cc being the largest to use without getting an extended swing arm and 10" rims. Can't wait to see what you do with it. It's a Z50A in the US, too. But it's a 78, so K9. You southern hemisphere people might read that as a 6, though. According to the service manual, K5 is the last designation on Z50A models. I've seen the late 70s models referred to as K6 on parts website's though, so not 100% clear on that. 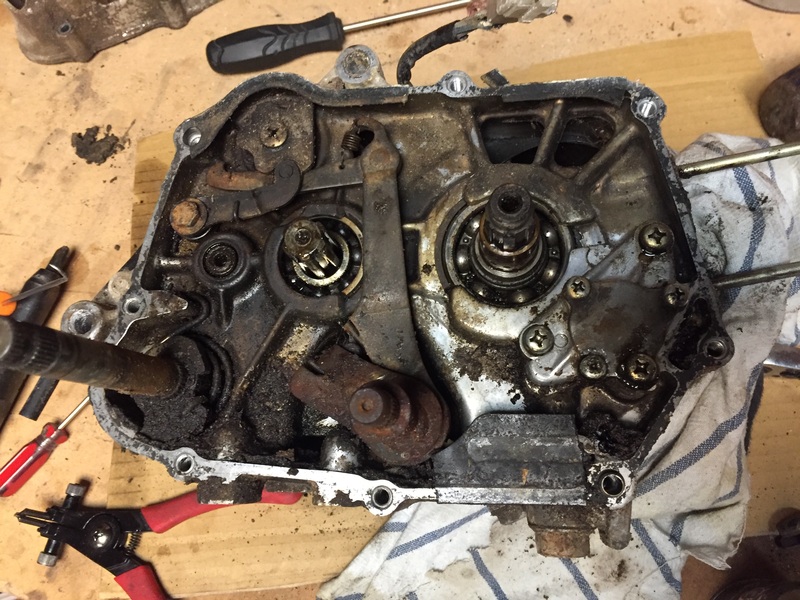 I cracked into the motor last night. Some buggered up threads on the flywheel but I was able to get my puller on there regardless. The top end looks great and should look better once I get rid of all the carbon deposits. 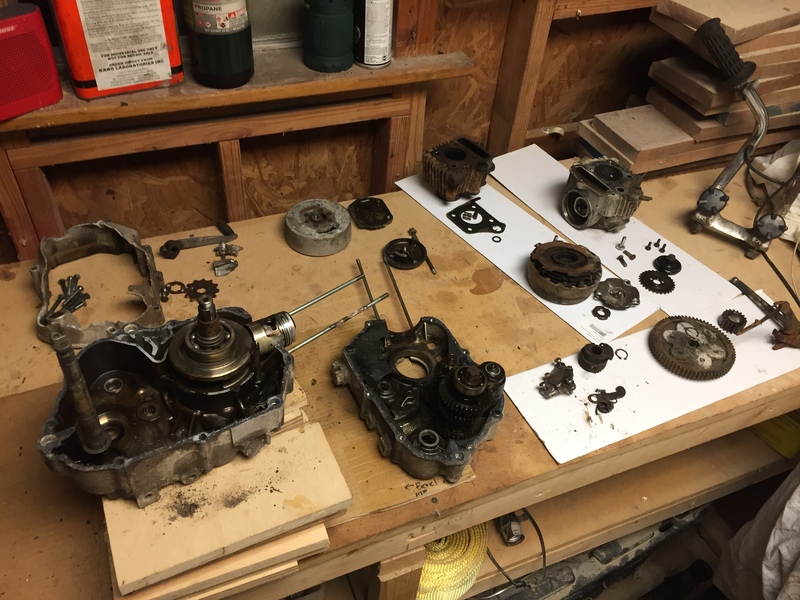 Piston and bore were clean as a whistle. 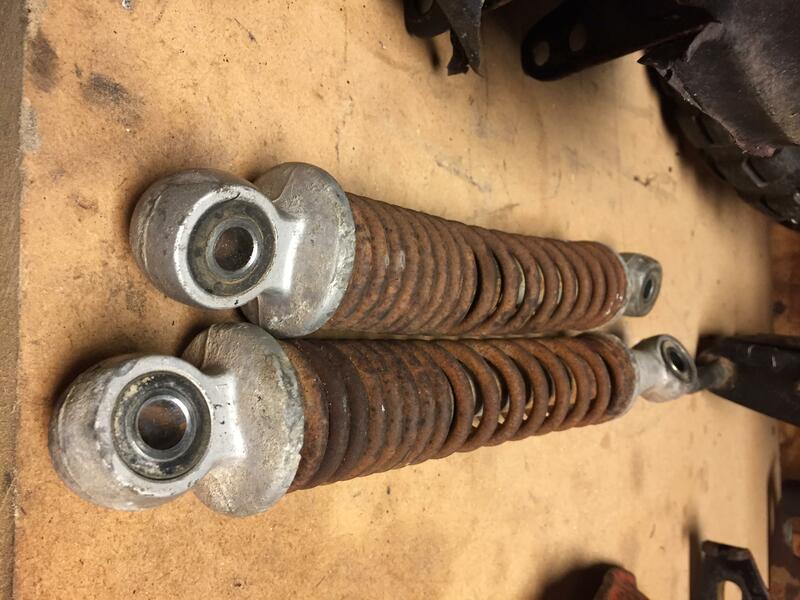 Fun fact, the oil filter nut tool for Honda twins is the same tool needed to remove the nut holding the clutch assembly in place. 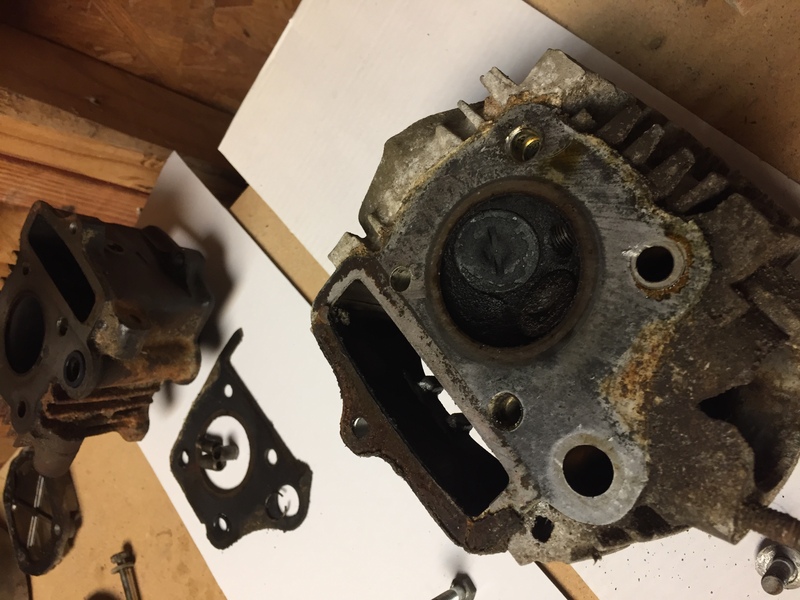 Here's the clutch side where the case was destroyed and some dirt got in with the primary drive gears and clutch assembly removed. The clutch assembly is toast and will certainly need to be replaced. I tilted it towards me and sprayed a whole can of brake cleaner on there and gave it a quick toothbrush scrub and wipe down before I split the cases. Not bad at all. Once everything was uninstalled and relatively cleaned up, I heated up the case seam all the way around with a propane torch to help soften the gasket and release the case halves. You can gently pull the top end studs away from one another and tap the crank end with a rubber mallet to free the right half of the case from the left. 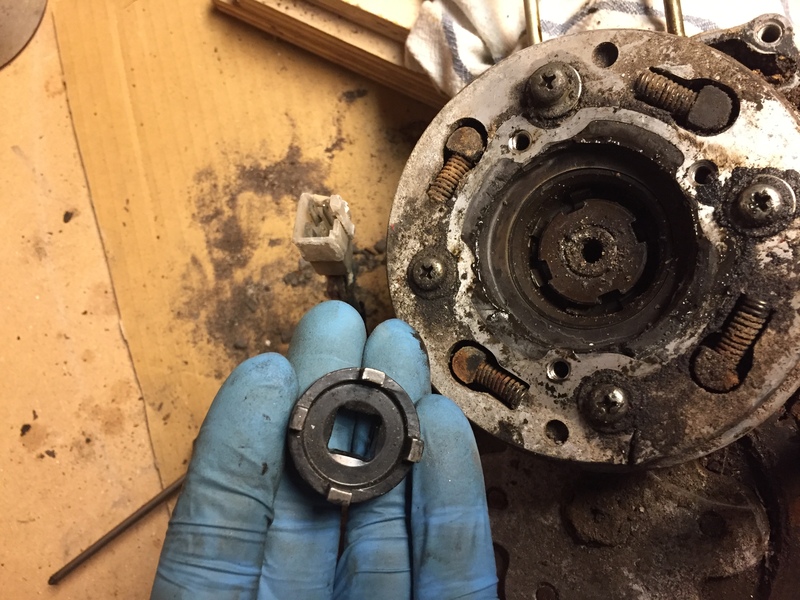 Amazingly the bearings spin freely and don't have any grit in them at all. The crank and transmission gears are all moving as they should. I was really expecting this bottom end to be trashed, but I think it will live to see another day! 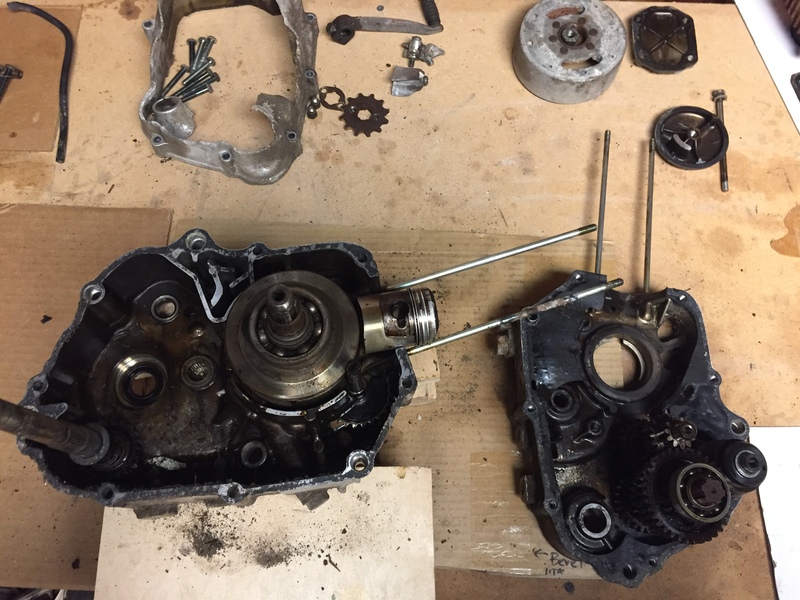 I need to check the crank for runout. 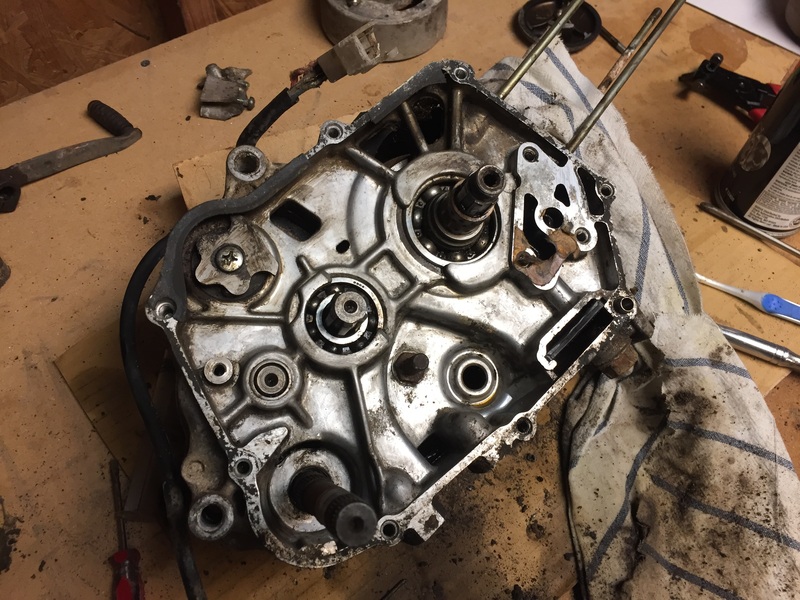 I think a good run through the parts washer, and some new seals and gaskets and I'm going to try my luck running this bottom end. The Z50A definitely goes to K9. Your manual may predate the end of production. Honda always designated that number by year. What does the VIN tag say?